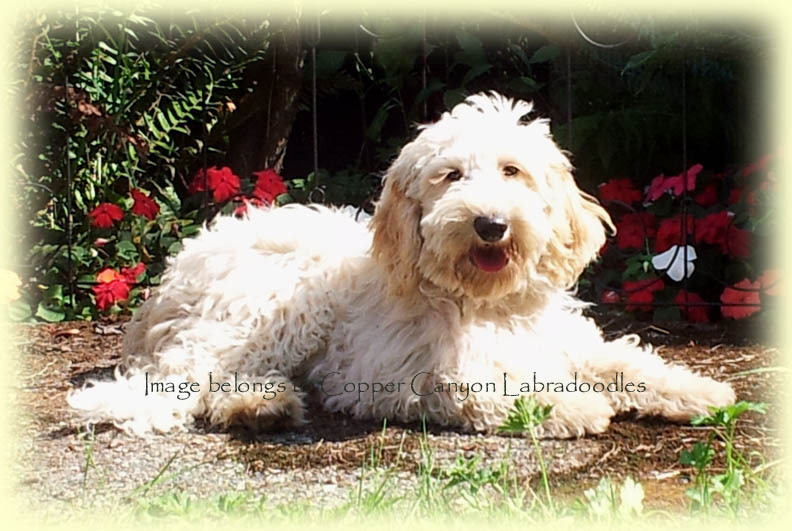 All our fine Australian labradoodle studs have been carefully selected for their temperament, type and coat. 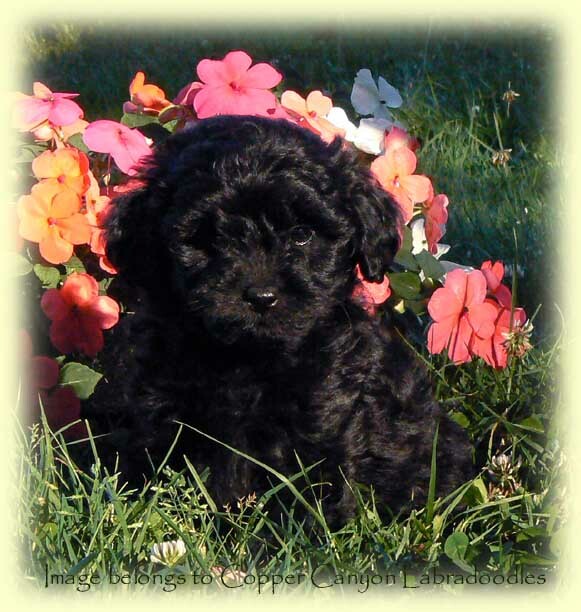 An exceptional stud contributes a lot to a breeding program, and we want to ensure that our labradoodle boys will add substance as well as a kind nature to our little labradoodle puppies! And as with all our other dogs, our studs are fully health tested before being fathers. If you are interested in stud service from one of our lovely boys, please feel free to contact us and send us copies of completed health testing and a current brucellosis test if doing live cover. Introducing Benji! Benji is a full sized caramel mini boy with a beautiful coat of wavy deep gold fleece and a big brown nose. He is a sweet boy, friendly and likes to meet new people. He is 24 pounds and has passed his health testing with good results! Benji lives in a guardian family and so he’s used to kids, likes going for walks and just hanging out with his family. He may carry for phantom and parti, so we are excited to see his babies! Ace carries for phantom and chocolate and lives in a guardian home near us. Ace is a full brother to Lukka and also has passed his health testing and dna panel with excellent results. 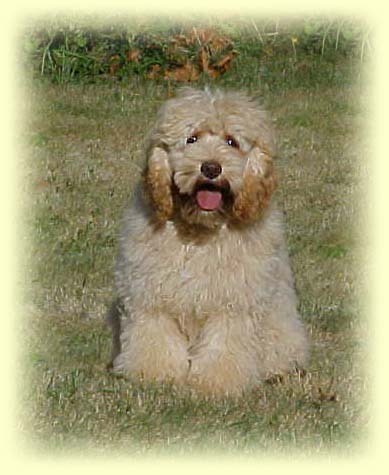 He would be graded as an Australian Labradoodle. 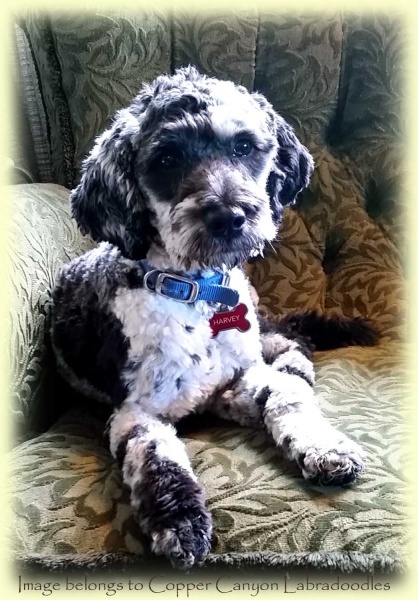 Lukka is our soft natured medium boy out of Domino and Murphy! He lives with us and is a real gentleman. He adores belly rubs and treats and couch time. He has absolutely beautiful structure and a soft coat of wavy fleece. He is actually a cream/white parti marked boy and carries for some interesting things like phantom and sable so we always get colourful litters from him! He is a nice medium size at 19 inches and between 35 and 40 pounds. 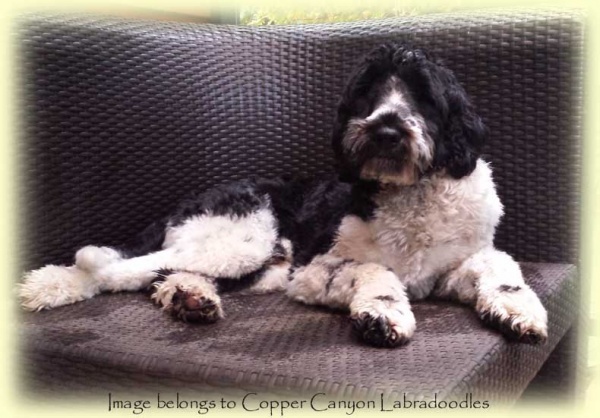 He has passed all his health testing, has a clear dna panel and would be graded as an Australian Labradoodle. Meet Harvey! Harvey is our new stud boy out of Angie and Sunset, and he is just lovely! He is a true mini in size and is really nicely put together (and more importantly, his temperament is excellent, he is a sweet boy). Harvey is game to play, game to hang out on the couch and we can’t say enough about him. 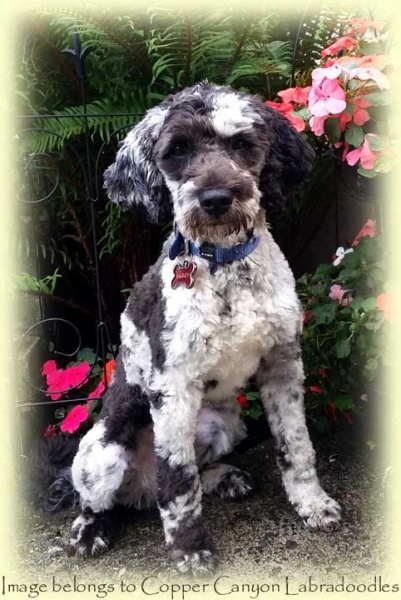 He is sporting a shorter summer cut here, which suits his farm life to a T. Harvey has passed his testing with great results and so we are glad that he will bring some flashy colour to the ‘doodle’ world! Trigger is our new little chocolate stud boy! He’s a sweet and friendly boy who adores attention and loves to play. Trigger has a beautiful wavy fleece coat and is a mild and easy going fellow (and ever so cute!). He’s a chocolate phantom boy carrying for red, so we expect to see chocolates, phantoms and golds or reds from them. 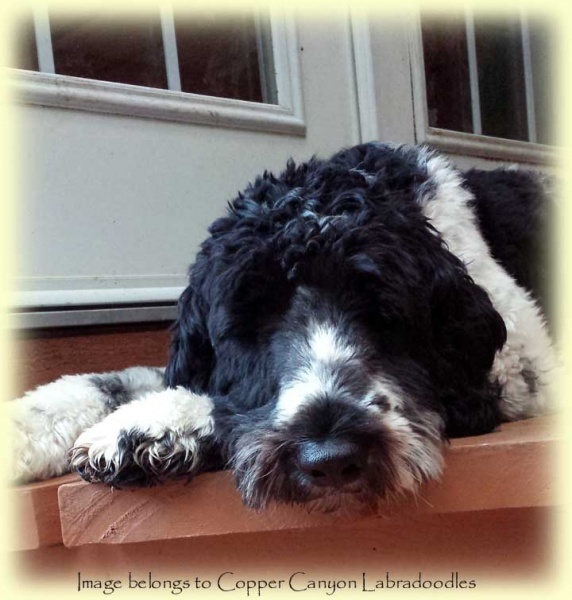 He has passed his health testing with flying colours and we are excited to see his babies! 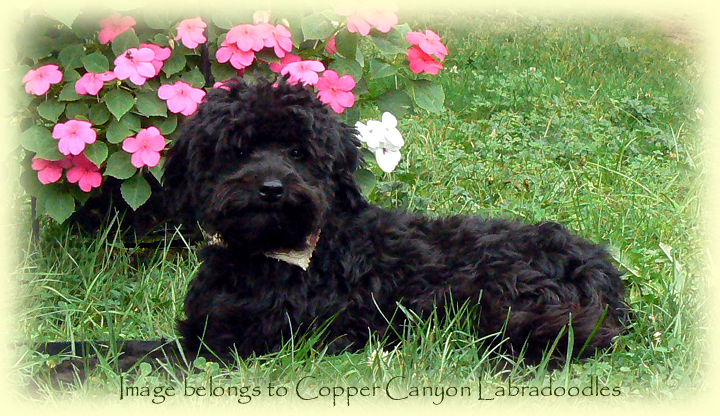 Trigger is a true miniature in size and we are delighted to have him in our breeding program. 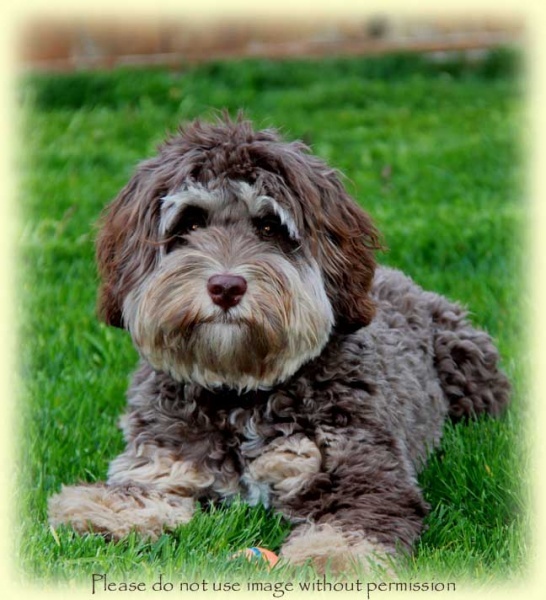 Charlie is a lighter chocolate Australian Labradoodle boy that we have retained out of our Teddy and Bobbi Bear. Smart as a whip and awfully cute, he has passed his health testing with flying colours! Charlie lives in Victoria with a family of his own. 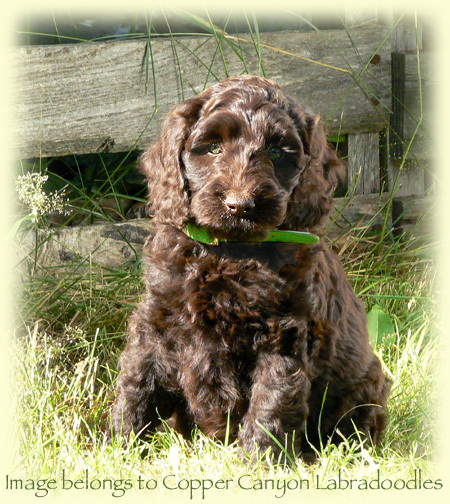 Topper is our upcoming handsome dark chocolate Australian Labradoodle boy. 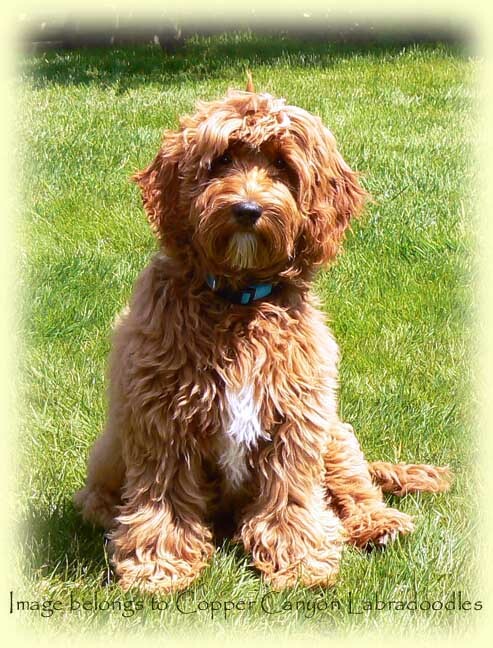 He is out of our Bobbi and our Teddy and is new bloodlines for our Australian Labradoodle program. Soft natured and willing to please, he charms everyone he meets! Topper has a gorgeous coat of soft fleece that hangs in long staples when it is fully grown and has no kemp fibres in his coat at all. Topper has passed his health testing for hips/elbows, CERF and is PRA clear. 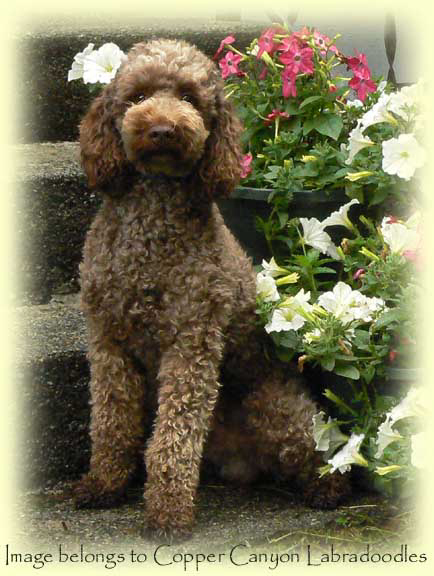 Sunset is a milk chocolate mini boy with a lovely coat of loopy chocolate curls. At 16 inches tall, he is a true miniature size, but makes up for it with his large-sized character! He carries for some interesting colours, such a phantom and parti and we look forward to what he brings to our breeding program. Sunset has a lovely coat of soft wool with and we expect he will sire both wool and fleece coated babies with our girls. Sunset is PRA clear, current on is CERFs and has passed testing for hips and elbows. He’s a lovely boy and is well loved by his guardian home and two children. 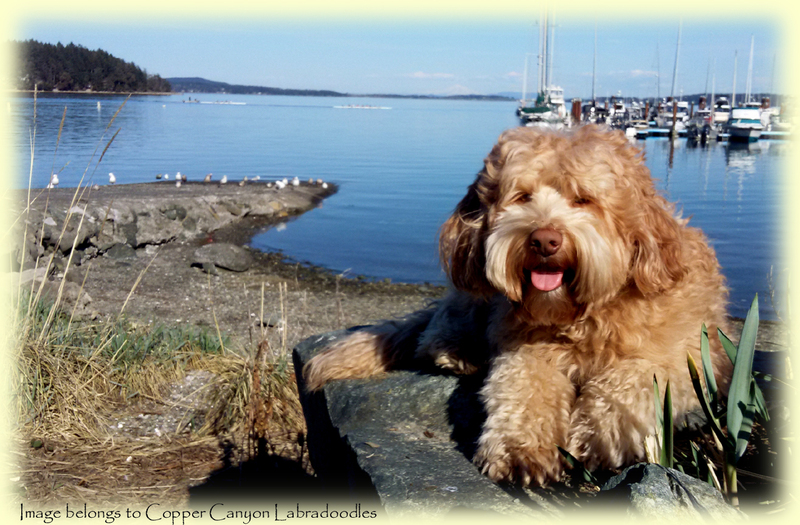 Teddy is fully registered with the International Labradoodle Association for use in developing new lines of multigen Australian Labradoodles. 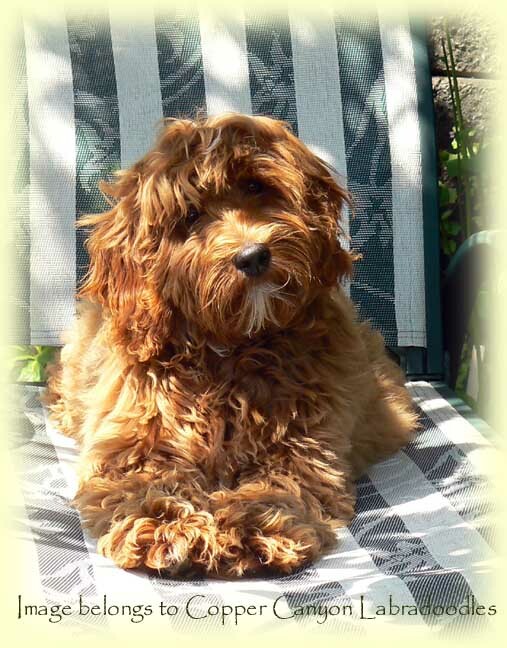 He will bring in some new bloodlines as well as some genetics from the original parent breeds as he is a 2nd generation cockapoo with a lovely flowing coat of non-shed apricot fleece and a rose nose. He also carries for the parti gene. He’s a friendly little guy and likes nothing more than to be with people! Teddy NEVER makes strange and thinks that all people will surely love him, and they do! He has finished out to around 15 inches in size and 22 pounds. Teddy has completed all his health testing and lives in a guardian home with a yard of his own and two boys to play with. Dusk is quite the little man about town! He’s all wiggles and play and is super social and friendly. 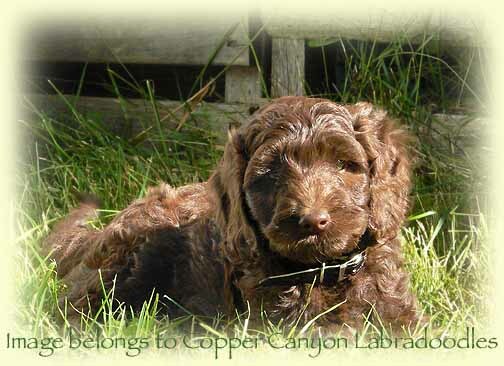 He brings new red and chocolate lines to our breeding program. 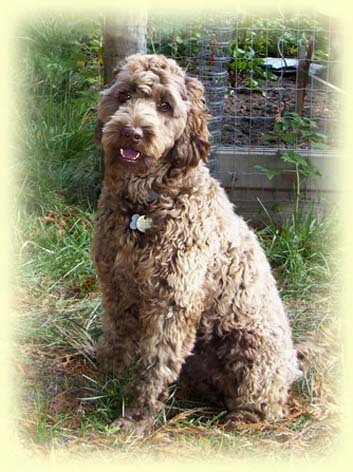 He is out of our Mikka, a dark chocolate American Labradoodle who has since retired from breeding. He has a super silky fleece coat that is just lovely and super easy to groom. At just 13 inches tall, he is a small miniature in size and is finished growing, though he will likely fill out a bit more yet. Dusk carries for red, dark chocolate and black, possibly phantom as well. He has passed his testing for CERF, patellas, hips and elbows and we hope to see babies that hold their lovely dark chocolate or red colour. Bentley is a super friendly but calm little fellow, a handsome red fleece coated boy who is just a delight to meet! He’s a full sized miniature boy, just around 17 inches. Bentley has wonderful boning and structure in addition to his good looks! He has passed his health testing with good results and we are delighted. His mellow personality and steady nerves are something he passes on to his babies, they are lovely.